Hey guys! 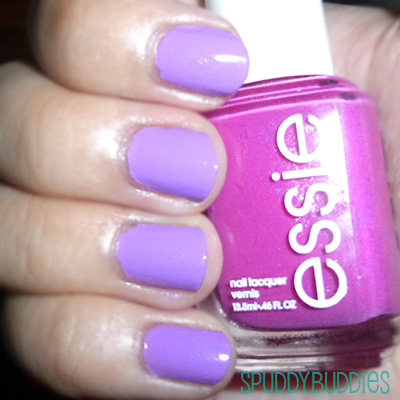 Today I have Essie - Play Date to show you. 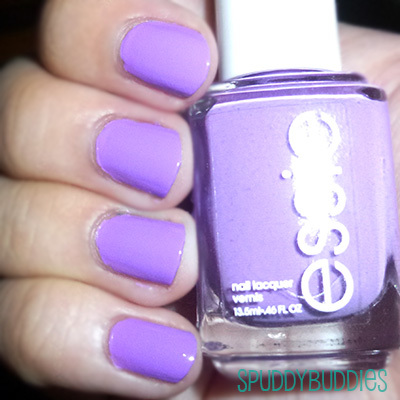 Essie - Play Date is a soft purple creme polish which is more beautiful in real life than in pictures. It is just the perfect summer color. The formula is excellent and the application was smooth. It's almost a 1-coater but I used 2 coats. I know it looks like a pastel in the pictures taken with flash but it's not. Honestly, if I had to pick one color that I would wear throughout the entire summer, I would have to say Essie - Play Date. I saw this question somewhere and I wondered if I could ever just go with one. After putting this on my fingers AND toes, I have found my perfect summer polish. Here's a bonus pic of me wearing Play Date on my toes. Do you have Play Date? Do you like it?